Even if you aren’t a “meataholic,” it’s still important to eat plenty of veggies. Here are some simple ways to get more green into your diet. 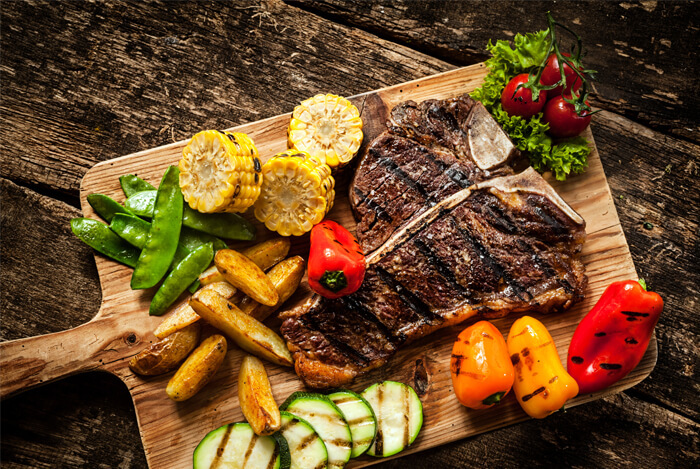 Meat is a great way to get many nutrients including protein, iron, magnesium, and phosphorus. So this doesn’t go to say that you need to remove it from your diet, only that having a balanced diet is preferred. Even so, some heavy meat eaters just don’t like vegetables. To help out, here are some easy ways to get more veggies into your diet. Some tactics are even sneaky. 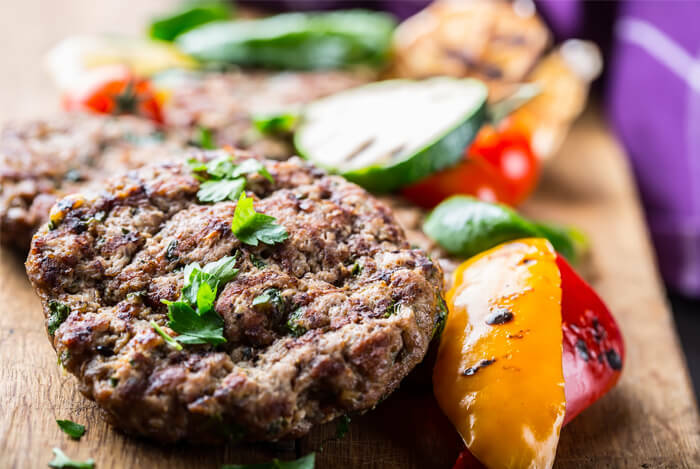 This idea takes a little bit of preparation, but will give your hamburger patties and other ground meat recipes extra flavors. Essentially, all you need to do is grate or chop vegetables and mix them into your ground meat before making them into patties, taco meat, or whatever meal it is you plan on making. Here’s how to do this: Mix the vegetables in a large bowl with the ground meat. You can add an egg to keep the mixture from crumbling if you notice it’s starting to separate. From there, make your patties as usual and toss them right on the grill! It’s that simple. I love smoothies – who doesn’t? It’s an easy way to get fruit, sure, but adding just a little bit of vegetables does next to nothing to the flavor, and you get one step closer to meeting your vegetable quota for the day! 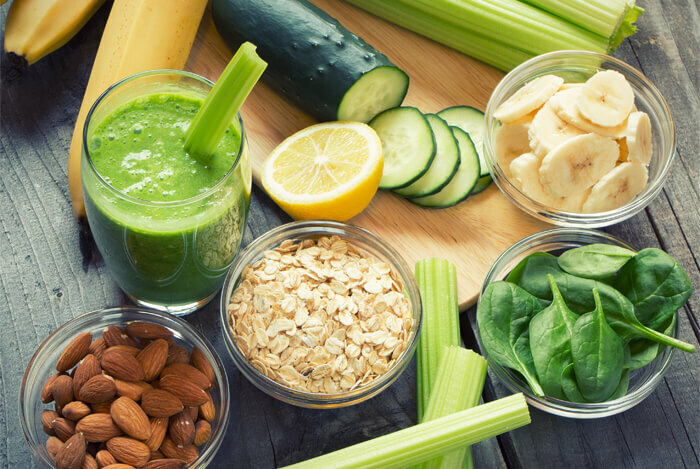 Just fix up your usual smoothie and add a cup of pretty much any leafy vegetable you want. I’d suggest vegetables with less bitterness since these may also have a sweetness to them. I usually make smoothies by throwing in a whole banana, a handful or two of frozen blueberries, a dollop of peanut butter, and a cup of spinach. Add in a base like soy milk or orange juice, and some ice for additional texture, and blend away! I like to have mashed potatoes with many of my meals, especially with steaks. But have you ever tried mashed… broccoli? You’ll need a few bunches of broccoli, some garlic, oil, and butter. 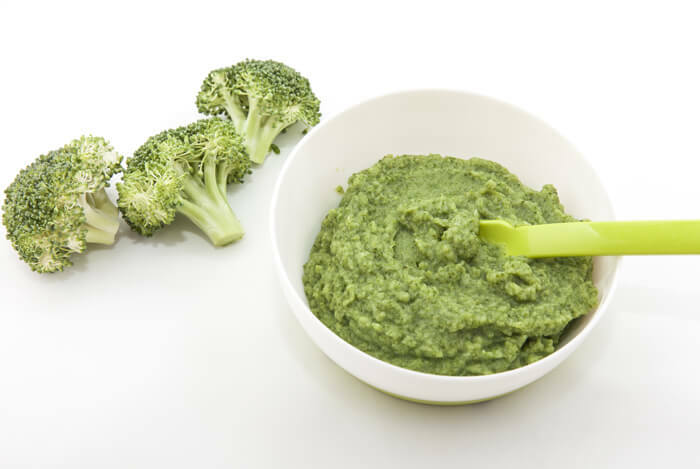 Simply steam up the broccoli and mash everything together like you would mashed potatoes (or use a blender). I love salsa. You can put it on top of, or inside of, pretty much any meat and it will taste good. 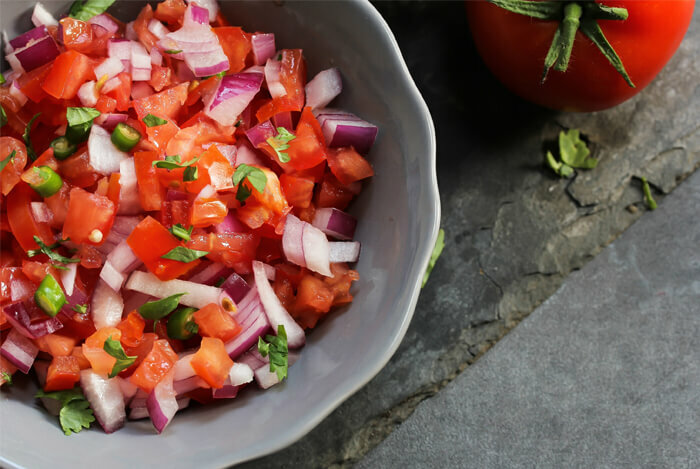 You can make salsa with a ton of fresh vegetables you don’t like the taste of and you won’t even notice them in there. You can also add corn, beans, and bell peppers if you want to beef up the vegetable count. To wrap up, we’ve gone over some of the pitfalls of eating red meat, or too much processed meat in general. As I mentioned, meat does have its benefits, but too much of it can really take a toll on your circulatory system and put you at risk for diabetes and cancer. There are a lot of easy ways to balance your diet in terms of adding vegetables, and I only went over a few of them here. I like to experiment with adding vegetables to ground meat and using it for tacos or burgers – certain vegetables add more of a kick (think peppers). You’d be surprised at what you can do with vegetables to both increase your meal’s nutritional value, as well as flavor. What’s your take on getting more veggies into your diet? Have anything else you’d like to share? Let me know in the comments below!